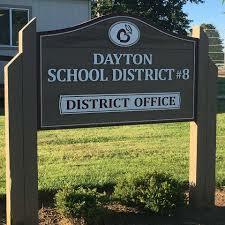 A recent voting majority of the Dayton Teachers union has voted no confidence in the superintendent’s leading of the junior and senior high school. 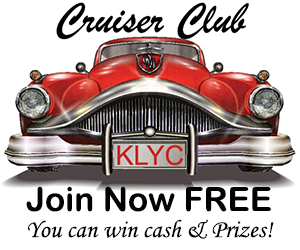 KLYC NEWS is told the vote was taken over a two day period April 4th-5th. 64 percent voted no confidence in Superintendent Jason Hay. We are unable to quote anyone as we are told employees are afraid of reprisals from the administration. A board meeting April 9th generated a crowd of upwards of 80 people, most with questions about the superintendent. KLYC NEWS was not there that evening as we were covering the McMinnville City Council meeting. We have formally requested the audio recording of that meeting. In an email last night, Superintendent Jason Hay stated that Oregon’s Public Records law provides that they provide the recording on or before April 23rd. We will post that recording on line as soon as we get it and paraphrase it on the air. School Board Chairperson Reba Stoller says she believes all of the conflict is over the superintendent’s unflattering evaluation of High School Principal Jamie Fluke. Employees tell us a different story. They claim problems with the superintendent extend to other district employees, not just Fluke. They are concerned quality people are starting to look for other jobs, or other districts are starting to lure them away, due to the tension. Stoller says the board is evaluating the union vote. We have not been able to get an interview with the superintendent. A Wednesday interview to talk about the upcoming levy was cancelled. We have started emailing questions to the board chair so we are not accused of mis quoting. We asked “why does there seem to be so much angst and conflict in the school”? Her answer follows.